We are driving across the country on a six-week road trip. I told you about the first few days in South Dakota in my last post. Our next two stops were at aunts’ houses. The first was my aunt in Missouri, then Henry’s aunts in Kentucky. These days were mostly spent visiting family—not great blog material as wonderful as it is to experience—but we did see a few sights. Keep reading for all the details on planning your own trip. We arrived at my Aunt Betsy and Uncle Ray’s house in Buffalo after 9 pm. I think we are already tired of being in the car and we are only three driving days into this six-week trip. A few days with little travel helped us get over that. We spent two nights and one day chatting and catching up on all things family. My cousin Kurt, his wife Julie, and four-year-old Kenzie stopped by after their own eight-hour drive, which we really appreciated. Aunt Betsy and Uncle Ray live on 60 acres with a few out buidlings, including a barn named the “Taj Mahal” due to its size and majesty. 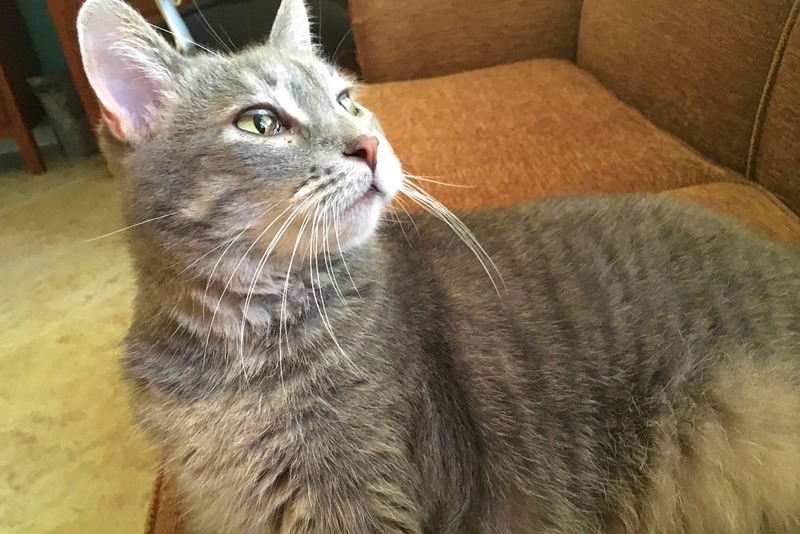 They also have a cat named Grace, who was super sweet. Getting to play with other people’s pets always makes us happy. As does seeing family. On our way from one aunt to another we made a stop at the Jefferson National Expansion Memorial to see the Gateway Arch. The St. Louis Arch is now a National Park, maybe it has been for a long time, but I don’t remember the visitor center from my visit in 1996. 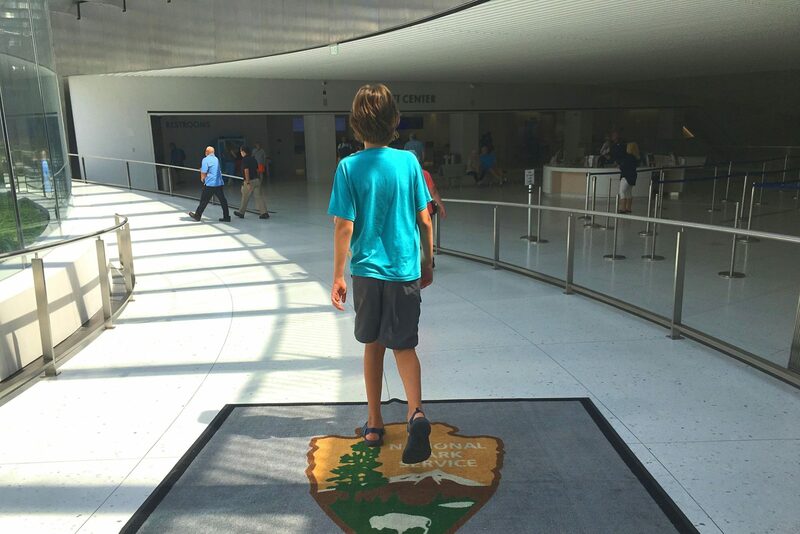 That’s because “the visitor center and museum underwent a $176 million expansion and renovation that was completed in the July 2018…. (including) a 46,000-square-foot underground addition featuring interactive story galleries, video walls, a fountain and a cafe.,” according to Wikipedia. We didn’t have enough time to fully explore this park, but ten minutes in the visitor center was enough to let me know that I would like to come back. Also, it is air conditioned, which is great since it was so hot and humid that we could barely handle being outside. The one thing about the visitor center that bugged me was that it took forever to find out what the memorial is about. There was a lot of good information about native people, Manifest Destiny, conquering what is now the western United States, and the contest and building of the arch. 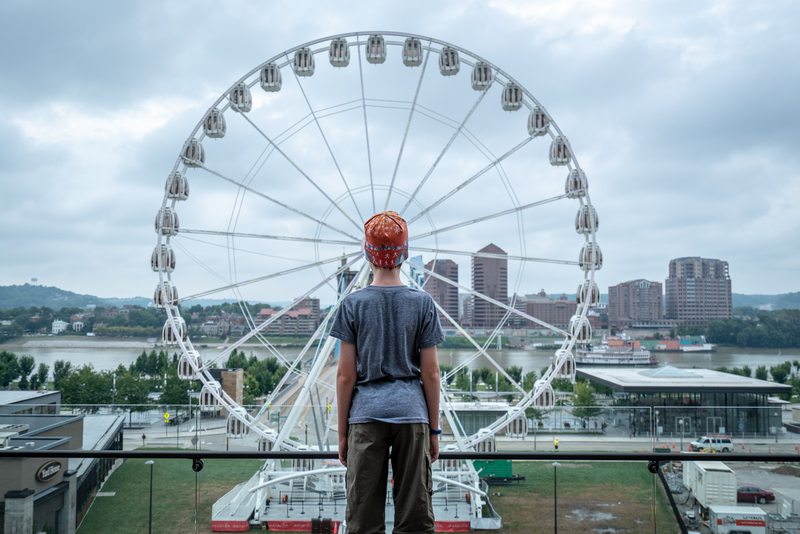 We rode the funny little pods to the top of the arch and looked out the windows over the Mississippi River on one side and the Courthouse and St. Louis on the other side. It was pretty cool. The kids and adults both really loved it. 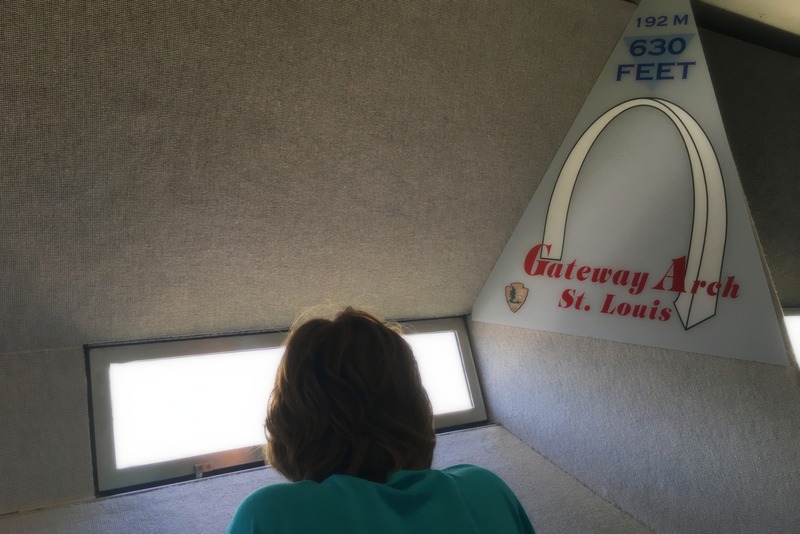 Looking out the window at the top of the Gateway Arch. 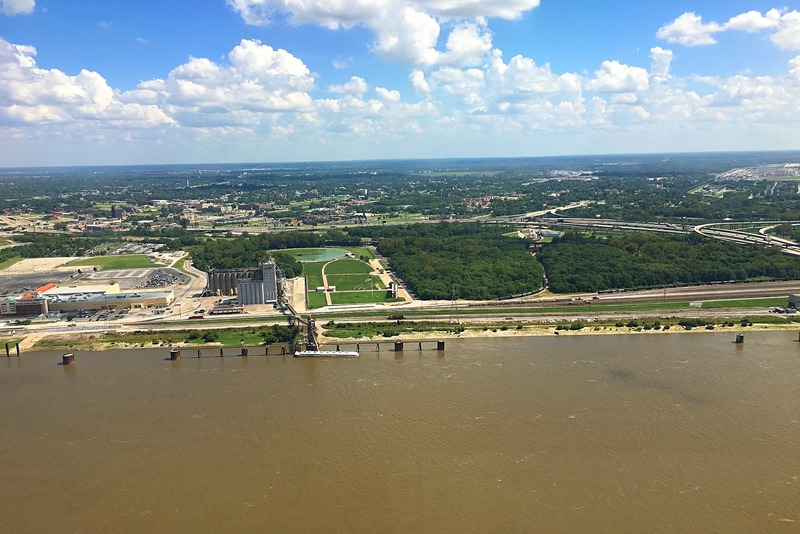 View of the Mississippi River from the top of the arch. We’ve been to Paris, France, now we’ve been to Paris, Kentucky. 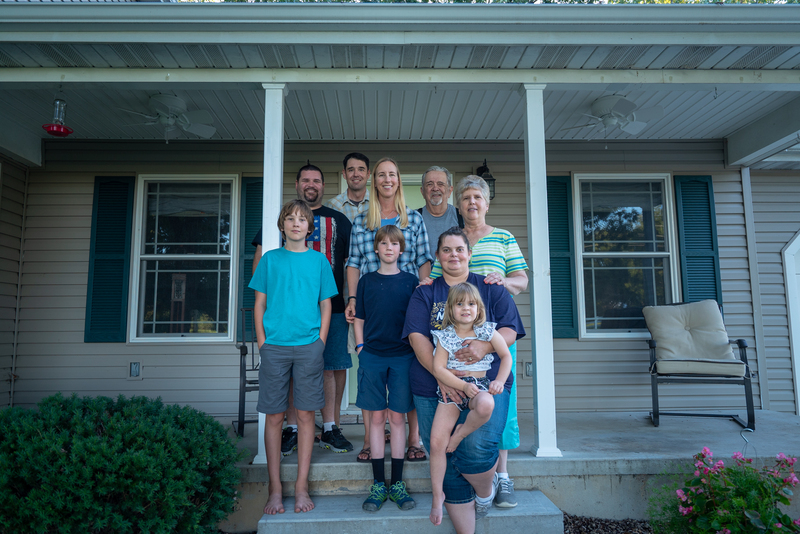 We stayed with Henry’s Aunt Anne and Uncle Jerry, but we also got to visit with his Aunt Edith, Aunt Ruth, and cousin Martha. The three aunts are sisters of Big Henry. Again, the highlight of the visit was chatting and catching up, but we had fun learning a little about Kentucky Horse Country. Kentucky Horse Park is a working horse farm and an educational theme park opened in 1978 in Lexington, Kentucky. There are tons of horse-type events held there and a really great museum. We started at the museum and learned all about the history of horses and people. I didn’t even know I was that interested in horses, but a good museum will spark interest. We spent a couple hours in the museum and could have stayed longer if we hadn’t gotten hungry. Stomach beats brain every time. After lunch, we walked around a bit and took a horse-drawn wagon tour, powered by two lovely draft horses. The boys loved the Kids Barn with lots of interactive activities. Since horse culture is such a bid deal in Kentucky and all Henry’s aunts are really into horse stuff, I am glad we had this experience. 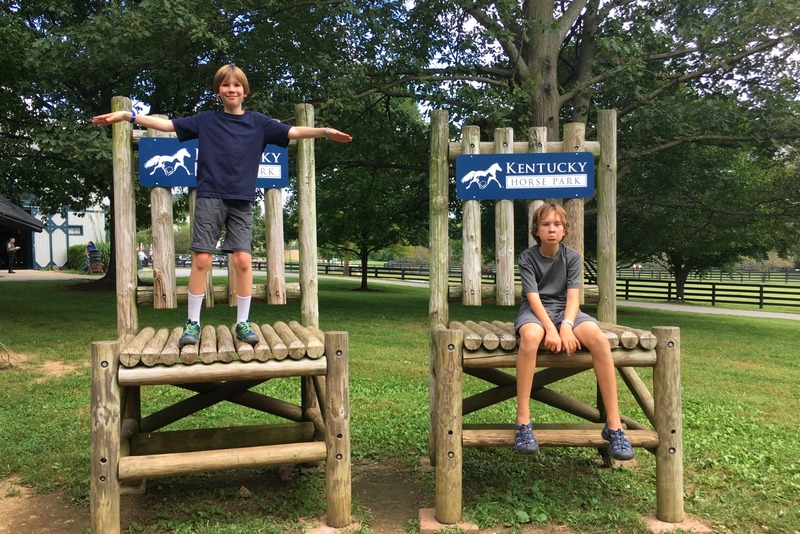 When you are in Paris, France you see the Eiffel Tower, when in Paris, Kentucky, see the Kentucky Horse Park. 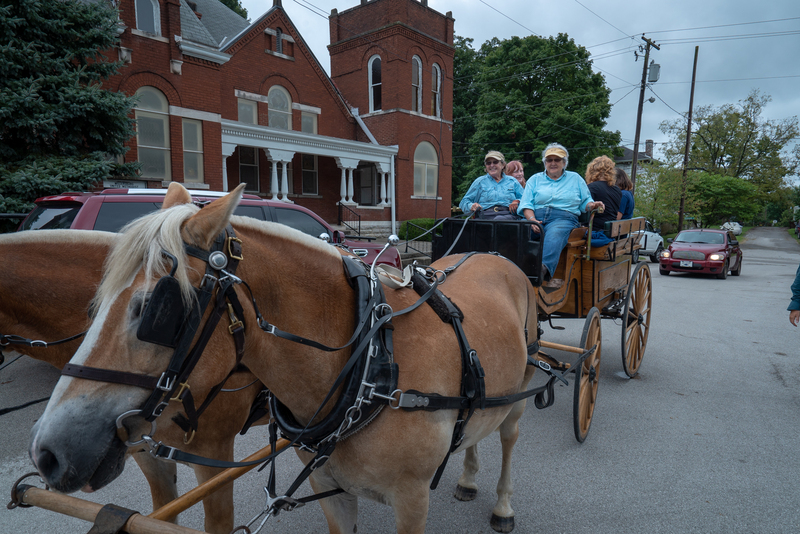 Henry’s Aunt Edith and Aunt Anne drive the horse drawn wagon. I am not entirely sure what the little festival we went to in Millersburg was about. I heard it was to honor veterans. I saw a sign for Chautauqua Days. Whatever the reason, vendors gathered in the town square. We saw old tractors and politicians. The main reason we attended, however, is that Aunt Edith and Aunt Anne were giving horse-drawn wagon tours around town. There was meant to be a parade, too, but it rained a bunch and the parade was cancelled. We were such obvious foreigners that the festival planner picked us out right away and took our photo for their Facebook page. Henry was born in Cincinnati and since it was just an hour and half from Paris, he wanted to get back and see his old stomping grounds. We drove by the house he lived in for part of high school and the house his dad grew up in. Plus, we ate his favorite ice cream. 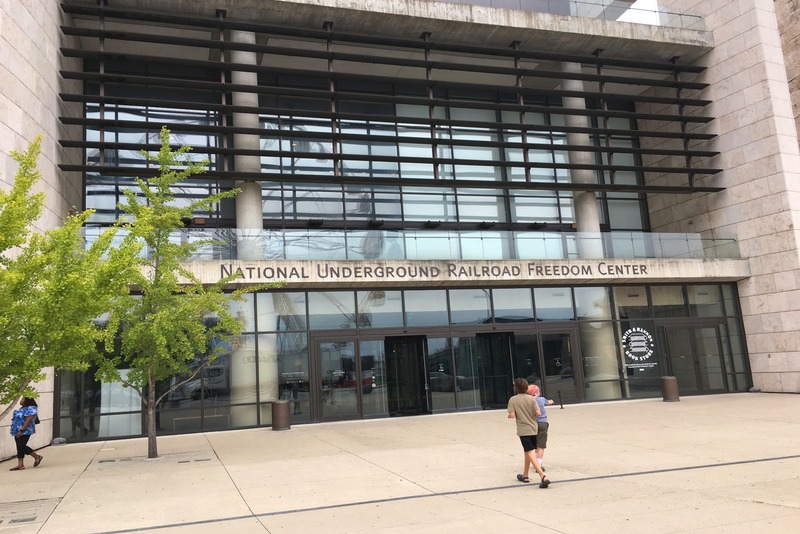 We also went to the Freedom Center and Smale Riverfront Park. The Freedom Center in Cincinnati was powerful, intense, and well done. We went on the recommendation of Henry’s friend. We learned about the history of slavery in the United States, Caribbean, and other places in the world. We also went through an exhibit about modern day slavery. It’s all heartbreaking and hard to see, but you have to be a witness to these things. And obviously, walking through a museum is the least we can do. As we homeschool/unschool/worldschool our kids, these are the kind of learning experiences we want them to have. I also hope this leads to action for us. Slavery isn’t only in the past. When Henry lived here, this area was falling down buildings and concrete. 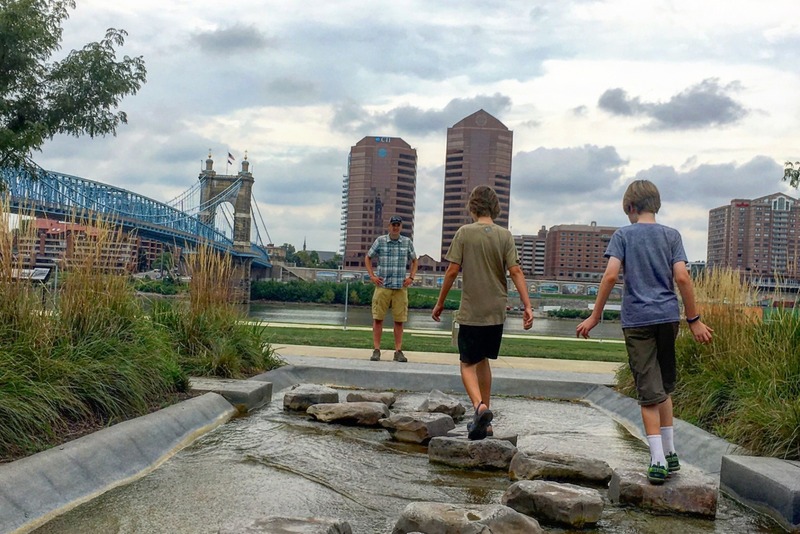 Now it’s a lovely 45-acre park on Cincinnati’s downtown riverfront situated between Great American Ballpark and Paul Brown Stadium—flanking the region’s beloved Roebling Suspension Bridge. Side note: Someone on Instagram said the bridge looks just like the Brooklyn Bridge, only shorter, because the architect is the same. The Roebling Bridge was a first attempt at the bridge before building the longer one in NY. I didn’t do any research on this – I am just passing this along. The Smale Riverfront Park is full of little play areas and paths. We had a blast hopping on stones, playing a giant piano, making a pig fly, and running through the misters. I loved that there was still such an abundance of flowers in September. It was so hot and humid, but the misters, a water play area, and a little shade helped. The boys were not ready to leave this area and I would have liked to walk farther down the path. We could have spent a couple hours here. And there is a Ferris wheel just up the steps, which would have been fun. I’m not going to give you directions to my aunt’s house or any of Henry’s aunts’ either, but I do think you should check out these other places. If you have a National Park America the Beautiful Pass, you can get into the visitor center and a discount on your tram ticket. You can buy tickets at the visitor center or online. Buying tickets ahead of time (online) is recommended in spring and summer as they sometimes sell out of tram tickets. 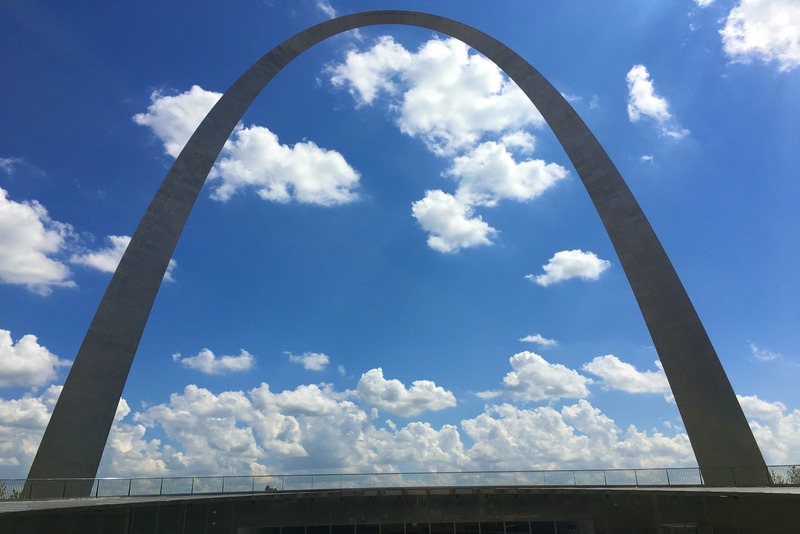 Get all the fee info on the Gateway Arch National Park website. 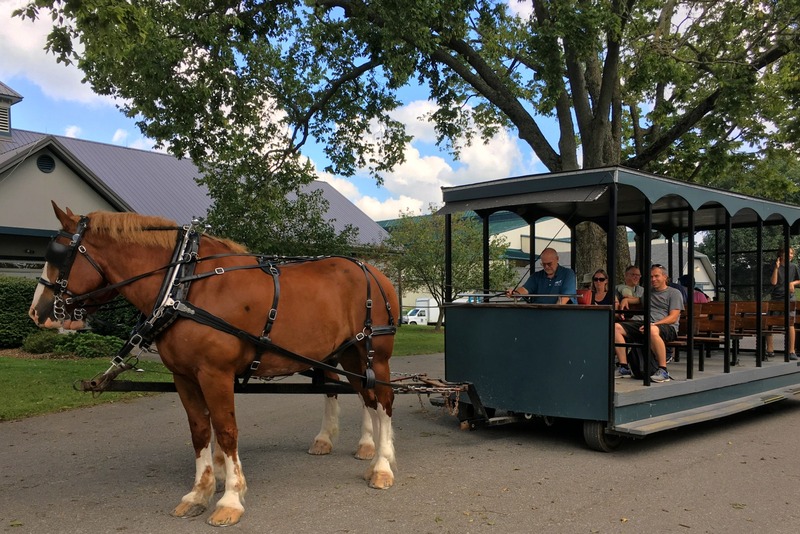 The Kentucky Horse Park has everything you need for a day of fun and education: museum, restaurant, tours, interactive activities, horses, demonstrations, and events. Check their website for all the details. Buy tickets for the Freedom Center when you get there. We had no problem parking on the street, but it was midweek on a school/work day. Several other parking options are available. Try the Central Riverfront Parking Garage at the Banks. The Fountain Square Parking Garage is also nearby, as well as limited street parking and surface lots. 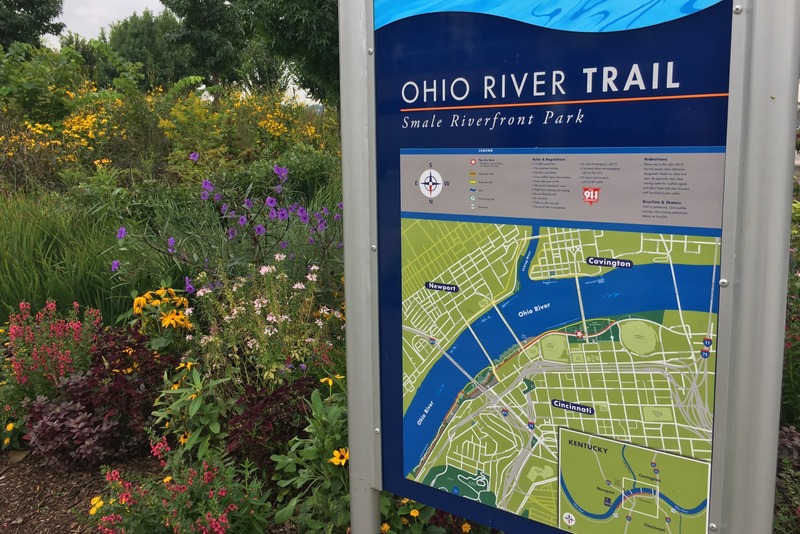 You don’t need to know a whole lot about Smale Riverfront Park, other than you head to river and start walking. The main part of it is between the two big sports arenas and behind the Ferris wheel. There are bathrooms under the bridge and lots of little play areas to discover. Parking is the same as for the Underground Railroad Freedom Center.